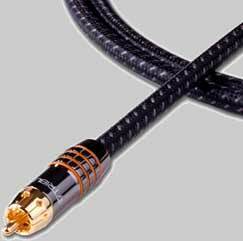 Tributaries was founded in 1991 based on the concept of "High Performance Audio and Video Cable Designs Based in Science." Back then, this was considered extremely radical. Then, as today, many audio and video cable companies, using exotic materials (and sometimes just plain whacky) design configurations, describe their product's performance with marketing hype masquerading as scientific fact. If you know the principles of conductance, capacitance etcetera, sometimes this can make for very amusing reading! This atmosphere of misinformation convinced our founder, Joe Cable that it was time to start a cable company whose products would be designed based on good scientific principles, good service and good sense. 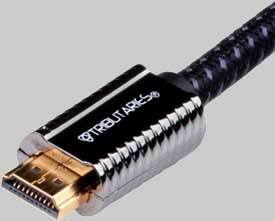 The Tributaries 6HEC is The Tributaries 6HEC is a reference level HDMI with Ethernet cable. This cable is constructed with solid 1.25% silver-plated High Conductivity Oxygen-Free (HC-OFC) Copper conductors to ensure advanced high-speed HDMI signal transfer in lengths up to 5 meters. Tributaries 6HEC cables are terminated with HDMI connectors. The HDMI connector has 19 gold-plated pins that are inserted into the insulated gold-plated connector shell. The assembly is precision soldered to a small PCB inside the head of the connector. The cable wires are also soldered to the PCB ensuring perfect spacing and signal timing. The entire assembly is molded to protect the connections and then protected further by inner body armor and finally zinc die cast connector covers that provide additional shielding and an attractive shell. 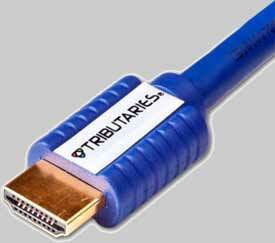 The Tributaries 5HEC is a superior quality HDMI with Ethernet cable. This cable is constructed with 28 AWG solid OFHC copper conductors to ensure accurate high speed HDMI signal transfer in lengths up to 8 meters and standard speed with Ethernet from 10 to 15 meters. Tributaries 5HEC is terminated with HDMI connectors. 19 gold-plated pins are first crimped to the wires and then inserted into the insulated gold-plated connector shell. The entire assembly is molded in a two-step process: first to protect the connection and add strain relief and second for an attractive appearance. The 8AB is terminated with red & white XLR connectors. The wires are hand soldered with high-quality lead-free solder in Orlando, Florida to solid gold-plated brass XLR connectors. The shield is connected on the source end only making this cable directional and noise free. 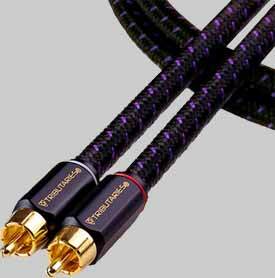 Tributaries 6AB is a high-performance balanced audio cable assembled by hand in Orlando, Florida. The 6AB is designed with two heavy 20AWG High Conductivity Oxygen-Free (HC-OFC) copper conductors with perfect twist for balanced audio. The conductors have a unique individually insulated dual-gauge configuration for superior sound clarity. The 6AB is available in pair as well as mono and is stocked in ½ meter to 4 meter lengths with custom lengths available. The 6AB is terminated with XLR connectors. The wires are hand soldered with high-quality lead-free solder in Orlando, Florida to solid gold-plated brass Series 6 XLR connectors. The shield is connected on the source end only making this cable directional and noise free. The connection is protected with a crimped collar strain relief and solid brass connector covers that have red and white colored rings for signal identification. 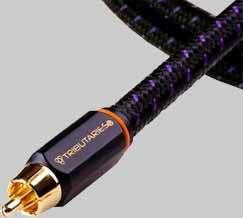 Tributaries 8A is a high-performance audio cable made by hand in Orlando, Florida. The 8A is designed with heavy 20AWG Long-Crystal Oxygen-Free (LC-OFC) copper conductors. The conductors have a unique individually insulated dual-gauge configuration for superior sound clarity. The 8A is available in pair as well as mono and is stocked in ½ meter to 4 meter lengths with custom lengths available. The 8A is terminated with red & white RCA connectors. The wires are hand soldered with high-quality lead-free solder in Orlando, Florida to solid gold-plated brass RCA connectors. The shield is connected on the source end only making this cable directional and noise free. 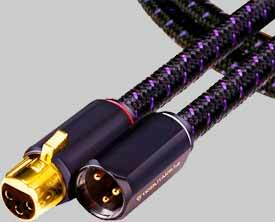 Tributaries 6A are a high-performance audio cable made by hand in Orlando, Florida. The 6A is designed with heavy 20AWG High Conductivity Oxygen-Free (HC-OFC) copper conductors. The conductors have a unique individually insulated dual-gauge configuration for superior sound clarity. The 6A is available in pair as well as mono and is stocked in .5 meter to 4 meter lengths with custom lengths available. The 6A is terminated with red & white RCA connectors. The wires are hand soldered with high-quality lead-free solder in Orlando, Florida to solid gold-plated brass RCA connectors. The shield is connected on the source end only making this cable directional and noise free. The connection is protected with a crimped strain relief and solid brass connector covers that have red & white colored rings for signal identification. Tributaries 5A is an audio cable made by hand in Orlando, Florida. The 5A is coaxial in design with stranded 22AWG OFHC copper center conductors and dual shielding. 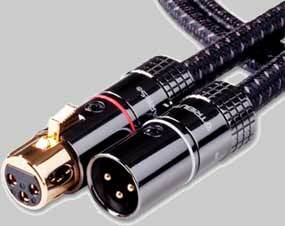 The audio pair is Siamese in construction and is stocked in .5 meter to 4 meter lengths with custom lengths available. The 5A is terminated with red & white RCA connectors. The wires are hand soldered with high-quality lead-free solder in Orlando, Florida to solid gold-plated brass RCA connectors. The connection is protected with a crimped strain relief and solid brass connector covers that are painted for signal identification. 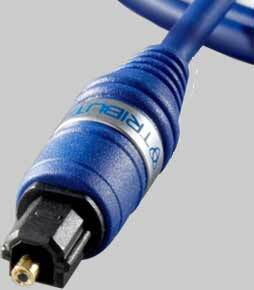 Tributaries 8AD is a high-performance 75 Ohm digital audio coaxial cable made by hand in Orlando, Florida. The 8AD is designed with heavy RG6 18AWG 2.5% Silver Plated Long-Crystal Oxygen-Free (LC-OFC) copper conductors for superior signal transfer. The 8AD is terminated with orange 75 Ohm RCA connectors. 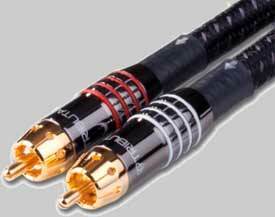 The wires are hand-soldered with high-quality lead-free solder in Orlando, Florida to solid gold-plated brass full body RCA connectors. The shield is surround-soldered inside the collar making an ultra secure ground connection and unbeatable strain relief. The connection is protected with solid brass connector covers that have colored rings for signal identification. 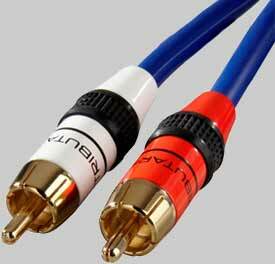 Tributaries 6AD are a high-performance 75 Ohm digital audio coaxial cable made by hand in Orlando, Florida. The 6AD is designed with a heavy 20AWG 2.5% silver plated High Conductivity Oxygen-Free (HC-OFC) copper conductors for superior signal transfer. The 6AD is stocked in .5 meter to 4 meter lengths with custom lengths available. The 6AD is terminated with RCA connectors. The wires are hand-soldered with high-quality lead-free solder in Orlando, Florida to solid gold-plated brass RCA connectors. The shield is surround-soldered making an ultra-secure ground connection and unbeatable strain relief. The connection is protected with solid brass connector covers that have orange colored rings for signal identification. Tributaries 5AD is a digital audio cable made by hand in Orlando, Florida. 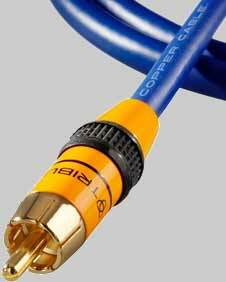 The 5AD is 75 Ohm coaxial cable that has a stranded 22AWG OFHC copper center conductor and dual shielding. The 5AD is terminated with orange RCA connectors. The wires are hand soldered with high-quality lead-free solder in Orlando, Florida to solid gold-plated brass RCA connectors. The connection is protected with a crimped strain relief and solid brass connector covers that are painted for signal identification. Tributaries 5AO is an optical audio cable with Toslink SJ15 connectors. The cable is constructed with 1mm single-core plastic optical fiber. It is available in .5 meter, 1 meter, 2 meter, 3 meter, 4 meter 6 meter and 10 meter lengths. The 5AO is terminated with Toslink SJ15 connectors. The plastic optical fiber is first protected with a gold-plated collar and then polished into a perfectly convex lens. The assembly is inserted into the Toslink connector and then molded to protect the connection and give an attractive appearance.